I am back home after a long week in San Antonio Texas. I really enjoyed the city, especially the riverwalk which is allot of fun. 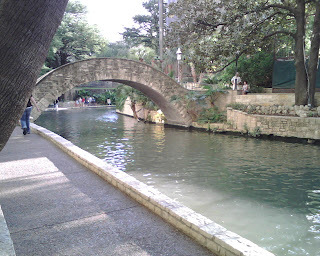 The riverwalk goes for miles through the city, all along there are restaurants and clubs that you can stop in. The river has tour boats that can take you through the entire city, I didn't get a chance to take one on this trip but perhaps the next trip.